Becoming a pet parent is both a joy and a very large responsibility. Often times, those who haven’t owned a pet before don’t realise the considerations that need to be made ahead of time in order to find the right pet for their living situation. Not all dogs are alike, just as not all cats or pocket pets have the same care needs. Any time that you are thinking of welcoming a new member to the family, it is important for both you and your new pet to have your needs fulfilled in the new relationship. With some preparative reflection you’ll both be happy and healthy as a result. Is Your Home Pet Ready? Your choice of pet should reflect your living conditions as best you can. 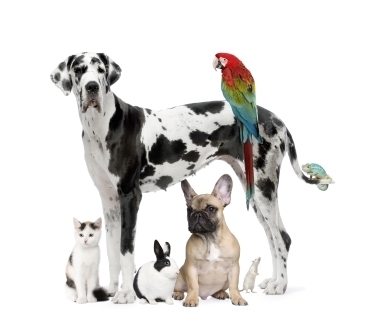 It is worth thinking about what type of home you have and how large or small it may be when looking at a new pet. Many pets like to chew on plants so you must also take into account how many poisonous plants are in your home and whether or not you are willing to protect, move or get rid of them. If considering a dog, it is important to also look into making your yard a safe place to play, and in many cases you might need to pursue fencing. Your Family. Many aspects of your existing family also come into play when looking at a new pet. If you have children, how old are they? Certain types of animal and certain breeds are better for particular ages of children than others might be, this should be taken into account. There is also the obvious consideration of whether anyone in the household has a pet allergy. Aside from the human aspect, what other pets do you have in the home? Their ages, species and breed can also affect their interactions with a new family member. Will A New Pet Fit Into Your Life? Many of us already think of ourselves as incredibly busy people so it is vital to contemplate how a new pet would fit into your lifestyle and how much time you will have to provide your new pet with the love and attention it needs. It is important to think about what motivates you to want a new pet because they will rely on you for their entire life to care for and protect them. There are so many benefits to being a pet parent, many of which were described here in a previous entry, “Having A Pet Brings Health & Happiness”. Just make sure that you perform your due diligence before taking the leap so that the whole family benefits.